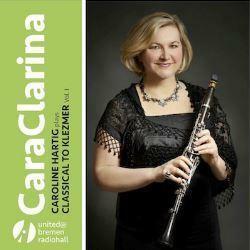 An acclaimed clarinet soloist and recording artist, CAROLINE HARTIG has performed throughout the United States, Europe, and Asia and has appeared as soloist with orchestras and contemporary-music ensembles in major concert halls in New York City, including Carnegie Hall, Weill Recital Hall (where she made her solo debut), Merkin Concert Hall, and the Fritz Reiner Center for Contemporary Music and Symphony Hall (Boston). She has also performed with the Indianapolis Symphony Orchestra, Indianapolis Chamber Orchestra, Boston Philharmonic and New Hampshire Music Festival Orchestra. Widely recognized and sought after for numerous new-music collaborations, Hartig has premiered and performed solo clarinet works by leading contemporary composers including Pulitzer-Prize winners William Bolcom and Donald Martino. 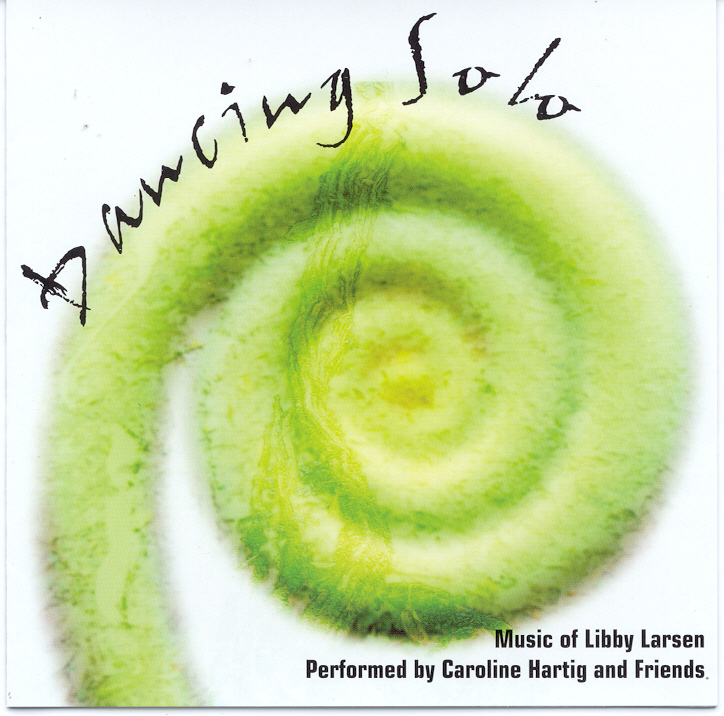 She can be heard on the compact disc Dancing Solo (Innova 512) featuring the solo and chamber clarinet works of composer Libby Larsen. 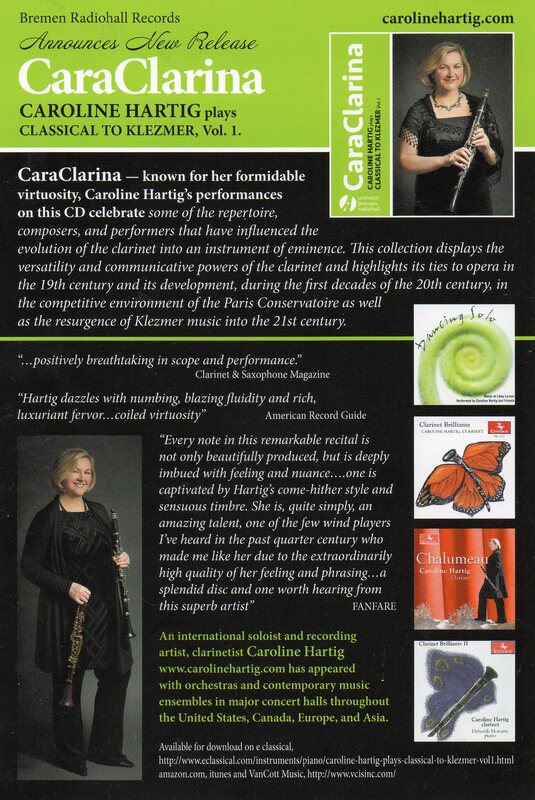 “It is in Dancing Solo that Ms. Hartig really demonstrates her musicality and prodigious technique...simply virtuosic”(The Clarinet). Additional collaborations with Larsen include the world premiere of “Bally Deux”; a jazz/classical hybrid double concerto composed for Hartig and jazz clarinetist Eddie Daniels for the International ClarinetFest in New Orleans. 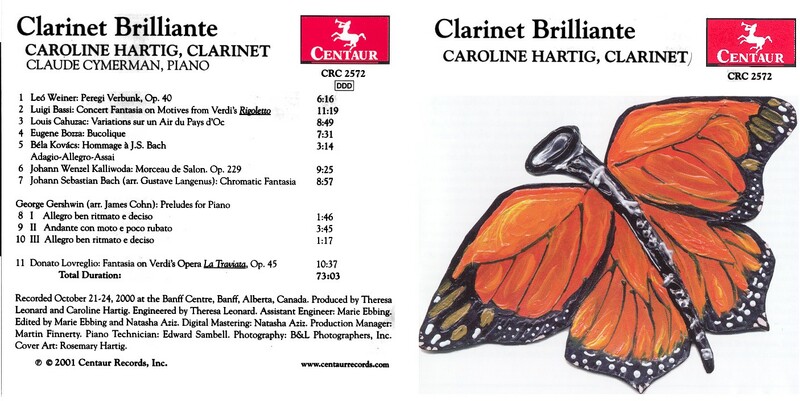 Hartig’s latest CD Chalumeau (Centaur 2965) was released in fall 2009 and is comprised of benchmark contemporary unaccompanied solo clarinet works including Edison Denisov, Sonate, Ida Gotkovsky, Sonate, Leslie Bassett, Soliloquies, Janos Komives, Flammes, Franco Donatoni, Clair and Bolcom’s “Chalumeau” commissioned and premiered by Hartig in Tokyo, Japan (2005) and published by Hal Leonard (2009). Hartig earned degrees from New England Conservatory, (MM), The Ohio State University (BME) and the State University of New York at Stony Brook, (DMA). Major teachers and career mentors have included the legendary Harold Wright, Robert Marcellus, Charles Neidich, Michele Zukovsky, George Silfies, David Hite, renowned pianist Artur Balsam, violinist, Roman Totenberg and flutist, Sam Baron. 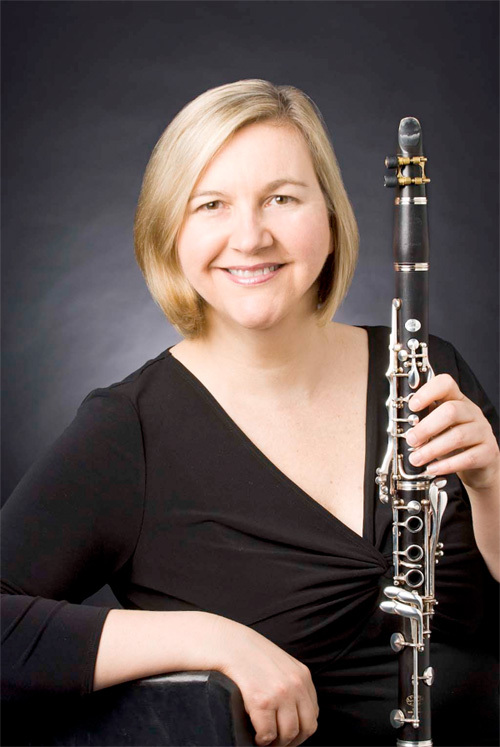 In addition to an active solo and recording career, Hartig is demand as a master teacher and clinician and has served as a juror for numerous performance competitions including the International Clarinet Association Young Artist Competition and has been a guest clinician at the International Midwest Band and Orchestra Conference. She is an artist/faculty for the Vianden International Music Festival, Luxembourg and a faculty leader for clarinet master classes at the Centro Studi Carlo della Giacoma in Todi, Italy. Hartig is currently Professor of Clarinet at Michigan State University. A Buffet Crampon artist and clinician, Hartig performs on the Buffet Festival clarinet. As a teacher, my goal is to individualize the instruction for my students so that they will succeed in the music field and truly meet their utmost potential as an artist. My ultimate goal for my students is for them to successfully communicate their musical thoughts and ideas. I believe my greatest challenge is to prepare my clarinet students to thrive in all facets of clarinet performance and provide them with a strong technical, tonal, and musical foundation so that they will emerge as a complete clarinetist and will be prepared to undertake any musical challenge whether it be as a soloist, orchestral, or chamber musician. My performing and teaching share a symbiotic relationship and my professional activities as a performer contribute to the success of my students. As an active soloist, chamber/orchestral musician and recording artist, I am well equipped to meet the needs of my students who aspire to become successful leaders in the professional music world. Further, my goal is to provide an encouraging atmosphere where my students will learn and thrive as artists and human beings. I also am dedicated to providing superb mentorship to my students while they are at MSU and throughout their careers. I am committed to cultivating a studio of clarinetists who are not only exceptionally talented, but are supportive of their colleagues and are passionate about playing the clarinet!